Change is the natural order of our lives. The only certainty we have. Changing seasons remind us that all life’s experiences are transitory. Yet there is an underlying rhythm in the Universe uniting us all. We are all part of something much bigger than our personal selves. Ancient societies and indigenous tribes marked these inevitable changes with ceremonies, traditions and ritual. Celebrating their relationship with the Great Mystery of the Cosmos. In modern-day busy living, we often forget to take sufficient time to pause and reflect upon what is really important to us. Being part of a group with focused intent gives us that opportunity. We can honour and give expression to our personal experiences, our desires and hopes for the future. Sound offers a simple way of building a bridge from the Great Mystery of the Universe to our physical reality. Suzi connects participants to the simple tool we carry around every day. Our Natural Voice. Focused sound with ceremony provides an easy way of calming our minds, accessing a stiller knowing place within our Soul’s wisdom and offers healing. 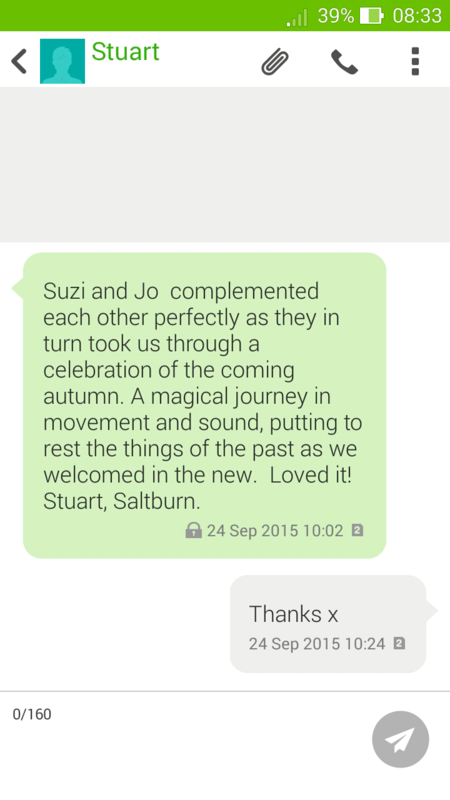 Suzi Joy, an experienced Voice and Sound Group Leader has also been helping facilitate ceremonies for many years. These include House and flat blessings, Birthday celebrations, Shamanic gatherings, New Year’s Eve ceremonies as well as innovative Wood Shows and Planetary Healing. Sound Ceremonies: can be tailored to any focus. Please contact Suzi by email suzi@suzijoylever.com to discuss your needs. If you would like to have early notification of future events please like fb.com/suzijoylever. 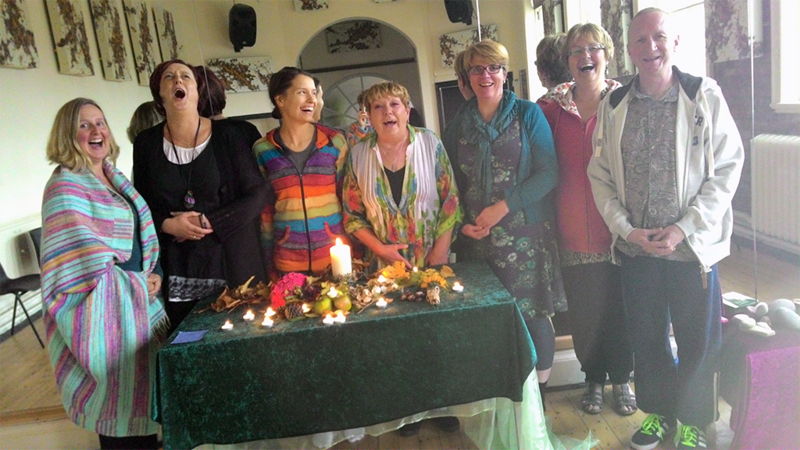 Working with my collaborator, Nikki-Marianna Hope, we are offering new online ceremonies exclusively for women 50+ who are drawn to join the thesilvertent.com.